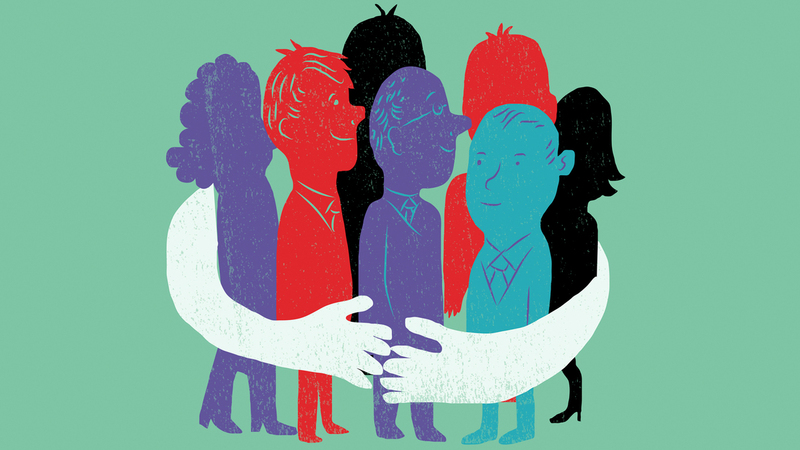 The Underinsured Flock To Free Health Clinics : Shots - Health News Although many people thought the federal health law would reduce the need for free clinics, low-income people with high deductibles and copays still frequent the clinics for routine care. When deductibles and copays are high, quite a few people with insurance turn to free clinics for care. Denise Johnson works two jobs, but neither of them offers health insurance to part-timers like her. She signed up for a marketplace plan this year, but for routine medical care Johnson still goes to the free clinic near her home in Charlottesville, Va. The problem is her plan's deductible of at least $1,000. She can't recall the precise figure, but it doesn't really matter. "It's absolutely high," said Johnson, 58. "Who can afford that?" She struggles to pay her $28 monthly premium. By continuing to visit the free clinic where she's been a patient for a few years, Johnson said she saves hundreds of dollars a year on blood pressure and diuretic medications, her EpiPen and allergy pills. In addition to the drugs, she also sees a primary care doctor every six months at the clinic to keep tabs on her borderline diabetes. She also sees an allergist once a year. "If you're a working-class person and you've got a free clinic near you, buying a bronze plan and using the free clinic for primary care makes sense," said Sara Rosenbaum, a professor of health law and policy at George Washington University. Denise Johnson said she saves hundreds of dollars a year on prescription medicines by going to the Charlottesville Free Clinic. 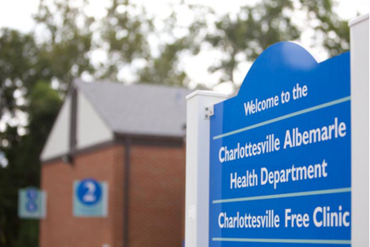 Of the 1,300 people who visited the medical clinic at the Charlottesville Free Clinic in the past year, roughly 15 percent have enrolled in insurance through the marketplace, said Colleen Keller, executive director of the clinic. The clinic, which limits services to lower-income people, provides medical, pharmacy, mental health and dental services through a combination of staff and volunteer medical professionals. In addition to serving the working uninsured, the clinic has expanded its target population to include the underinsured — people who have coverage but whose premium and deductible represents 10 percent or more of their income. "I think there definitely is a shift," she said. "Prior to the [federal Affordable Care Act], we were seeing primarily the uninsured, but since the passage of the ACA, we're seeing more of the underinsured." Clinics define underinsured differently to meet the needs of their local populations, she said. Some people expected that the need for clinics to provide free medical care would wind down as people got coverage under the health law, said Jack Hoadley, research professor at the Georgetown University Health Policy Institute. Undocumented immigrants and people who don't qualify for Medicaid would continue to rely on them, but few others would need to. But that hasn't happened. Hoadley co-authored a recent study on the effect of the health law on consumer coverage in Richmond, Va., Tampa, Fla., and Columbus, Ohio. Free clinics in those cities are "very much needed by people who qualify for insurance subsidies, but still can't afford the copays or deductibles to get care," Hoadley said. Cost isn't the only factor that the newly insured are grappling with. Some people come to free clinics because they can't get appointments with providers, especially in rural areas, said Deborah Miller, executive director of the Ohio Association of Free Clinics. "Access is a problem across the board," she said, referring to people in marketplace and Medicaid plans. "They may have a penalty for not having insurance, but it's lower than their copays," said Judith Robinson, a health insurance support specialist at the Charlottesville free clinic. The health law requires most people to have insurance or pay a penalty. In 2015, the penalty was the greater of $325 or 2 percent of household income. There are exceptions to the requirement for financial and other hardships. If the least expensive coverage available would cost more than 8.05 percent of someone's household income, for example, people aren't required to have coverage. Surprise expenses can undermine even the best intentions, Miller said. Someone's car breaks down and then they get behind on their electric bill. Suddenly they're two months behind on their health insurance premium and they can't catch up. "All it takes is one unexpected expense, it's life, and they don't have a cushion to help with those unexpected things. And then it's a crisis," she said. And they're back at the free clinic.